Kicking off with louder than hell ‘3AM Coke Dream’, the template is set for what is about to be a pretty extreme record. With its low slung riffs and pounding bass-lines, it’s brimming with attitude. There is nothing about this band that even wants you to like them. Second track in, ‘Bleed’ is full of noisy detail, with vocals just out of reach of the listener. The emphasis of the whole record is on snarling guitars and the wall-of-sound they create. The frequencies Teardrop Factory generate on each track is astounding. ‘Peel Slowly’, as its title suggests, dims the tempo and allows the feedback to fizz and crackle. I have no clue what they sing in the chorus, but I wholeheartedly agree with it, and I would like to wear my shades and hang out with them. Their washed out cool is infectious. We’re even treated to a (feels ironic) guitar solo on this track. Teardrop Factory is not a band that lends itself to low volume, or bad speakers for that matter, they demand to be played at maximum volume to get the full effect. ‘A Way Ahead’ is more typical Shoegaze (there, I said it) fare. The bass line throughout this one is delicious. In quieter moments their sound can be compared (in production if anything) to The Velvet Underground. They can be sparse when they need to be, but they can also make your ears bleed when they’re done with that nonsense. ‘Deeper + Deeper’ is a beautiful grind from the start, echoing MBV’s seminal ‘Glider’. It’s huge, loud, and industrial strength. The vocal is nowhere to be heard, which is exactly as it should be. Their guitar noodlings push frequencies into the stratosphere. It’s actually quite glorious. ‘Ex-Friend’, with its dirty bass-line and simple chord changes harks back to early Jesus and Mary Chain. I’m sure Jim and William would be proud of this legacy. Mid-record, ‘Now We Shatter’ opens with a shimmery riff, complemented with downbeat bass line which crackles with fuzz. 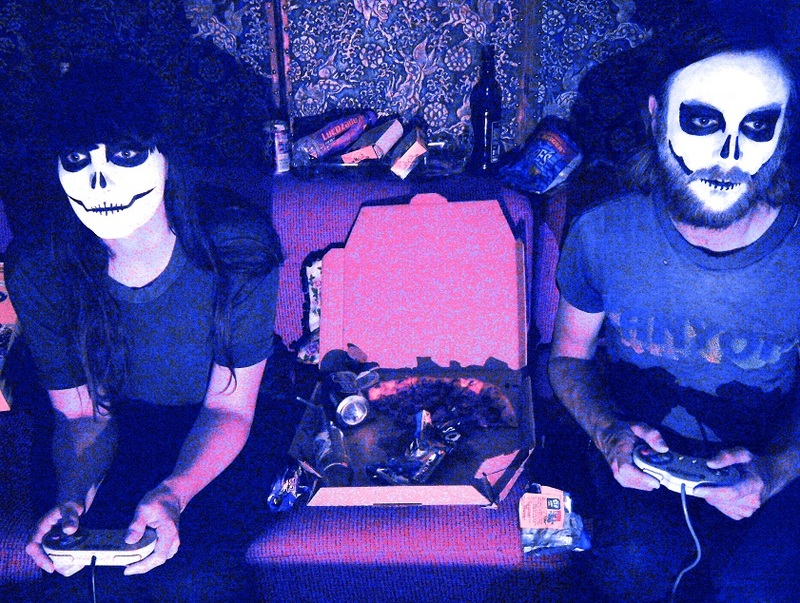 Noise and feedback is rarely danceable, but this track seems to have managed the impossible. Approaching the end of the record, ‘Spider Baby’ rattles along with an almost a Pixiesesque swagger, if ever there could be such a thing. It reminded me of something from ‘Trompe le Monde’. Somehow it feels more more delicate that the rest of the record, and hints at a possible new direction for the band. As with their previous ‘Top Shop’ EP Teardrop Factory ooze washed out cool, throw away riffs and faded inaudible vocals, but through the noise they manage to craft some incredibly detailed soundscapes. 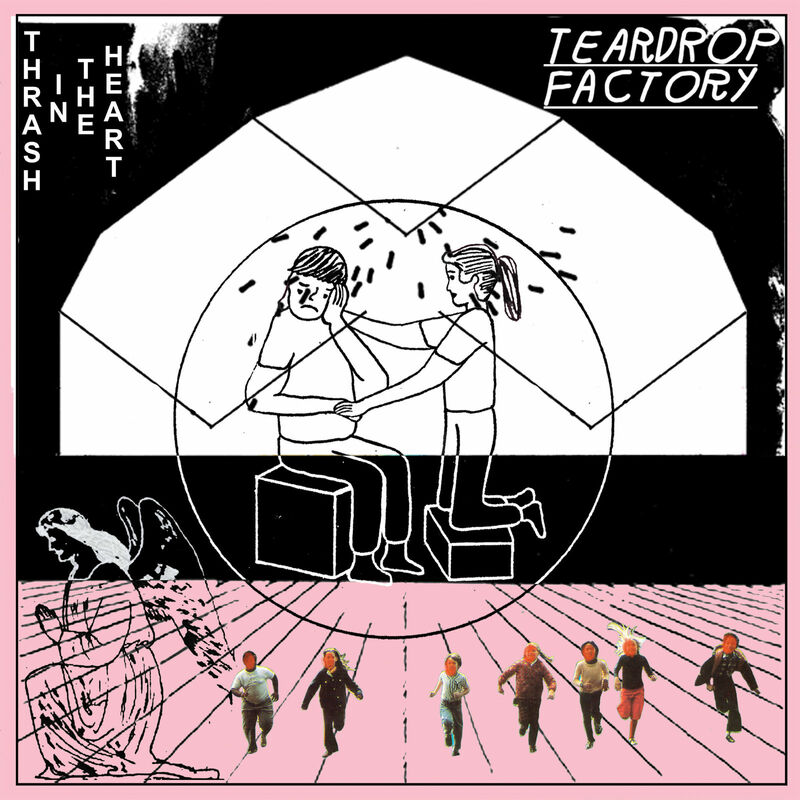 When working within these noisy parameters it can sometimes be difficult to carve out an album and still have it varied enough to work as a complete record, but Teardrop Factory have accomplished this beautifully. There are is all out noise, delicate riffs, and groove to make you dance like a maniac. I’ve had this record on heavy repeat for a couple of weeks and it gets better and better with every listen. I can’t wait to see them live. This entry was posted in Teardrop Factory and tagged Faux Discx, Teardrop Factory, Thrash In The Heart by admin. Bookmark the permalink.